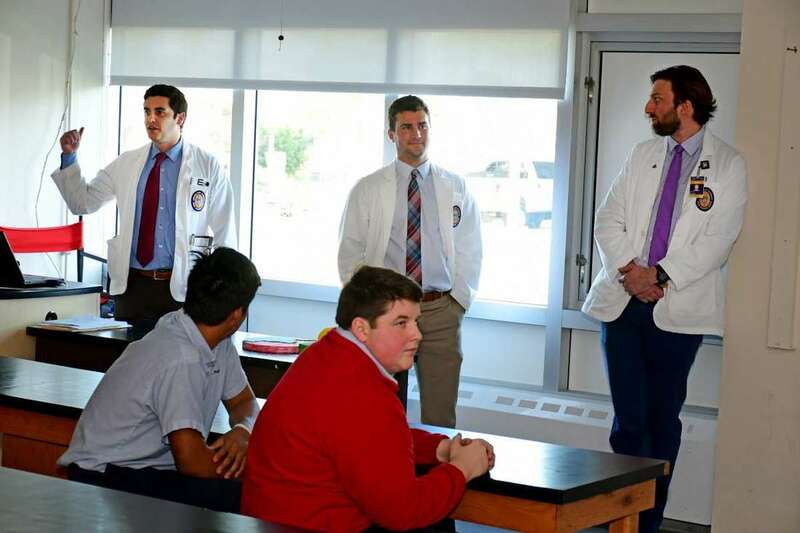 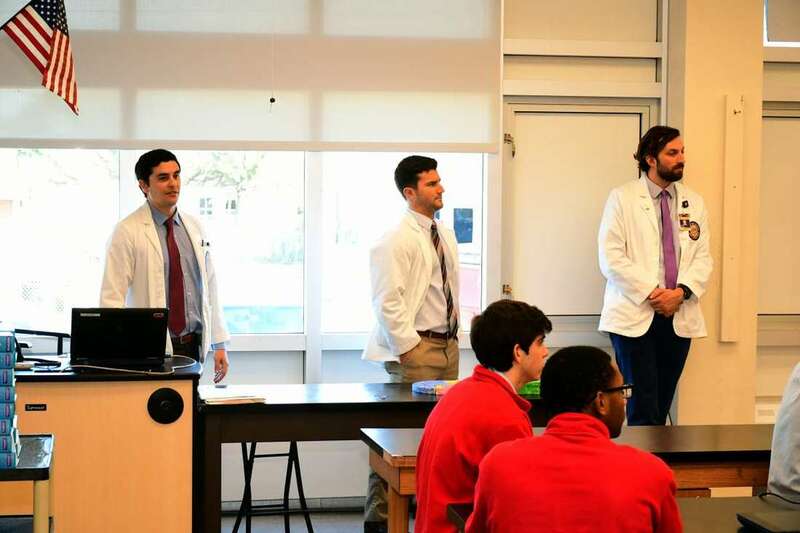 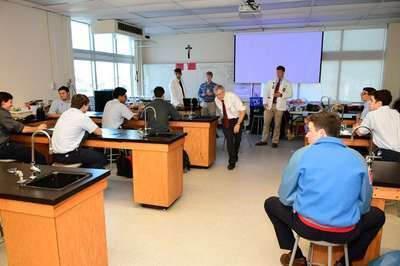 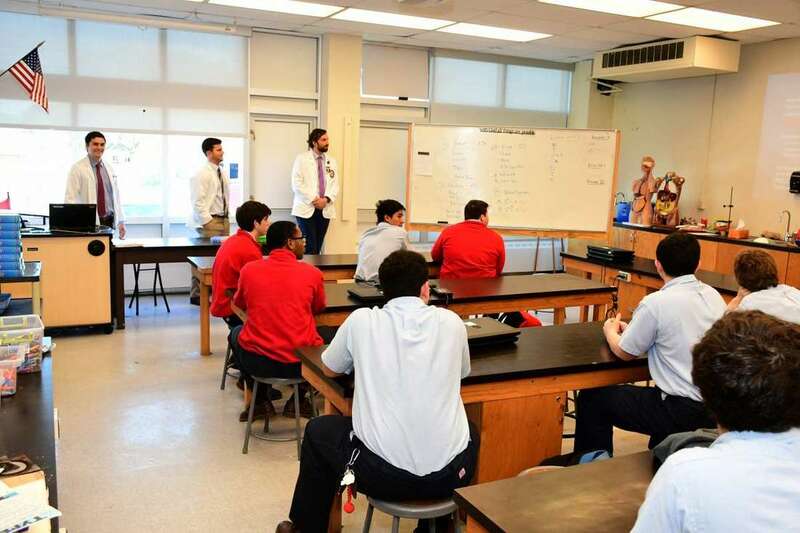 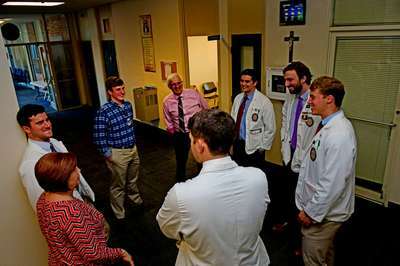 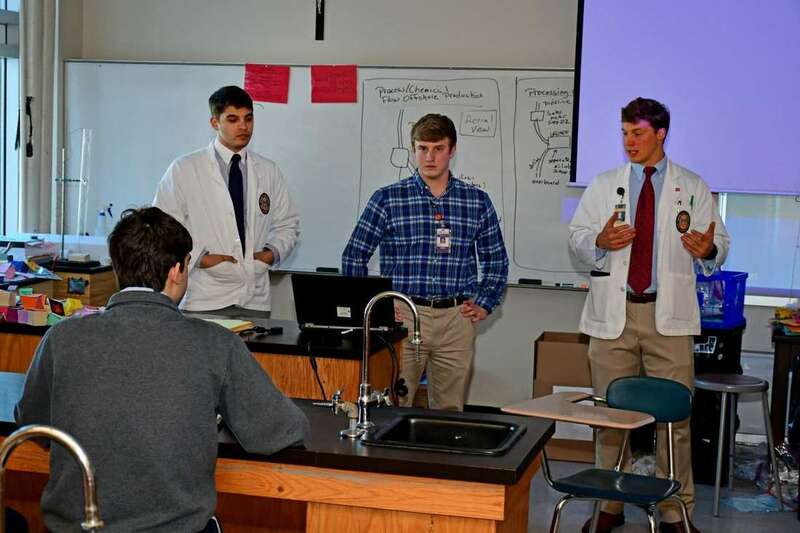 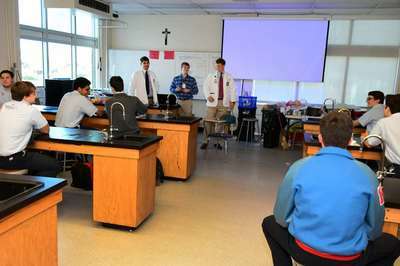 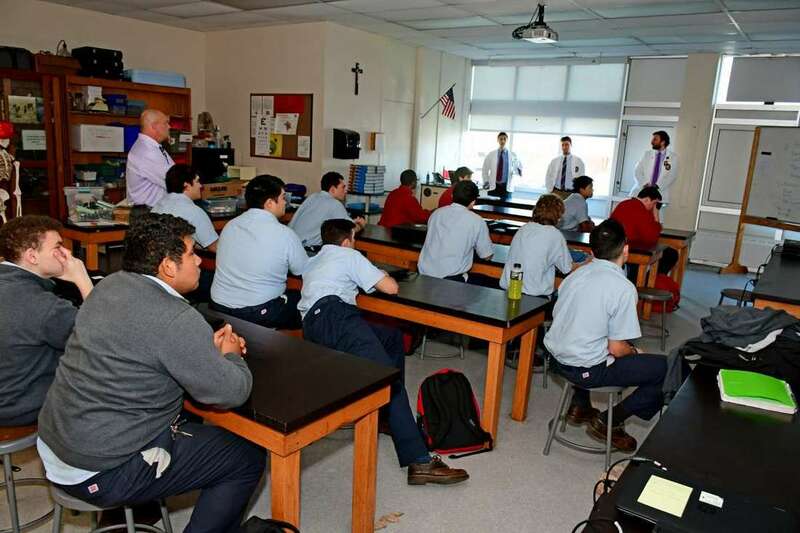 Following an invitation to speak to students in premedical studies at Archbishop Rummel High School, six school alumni, who are current medical students at LSU’s Health Studies School, spoke to the high school students about their journeys to medical school. 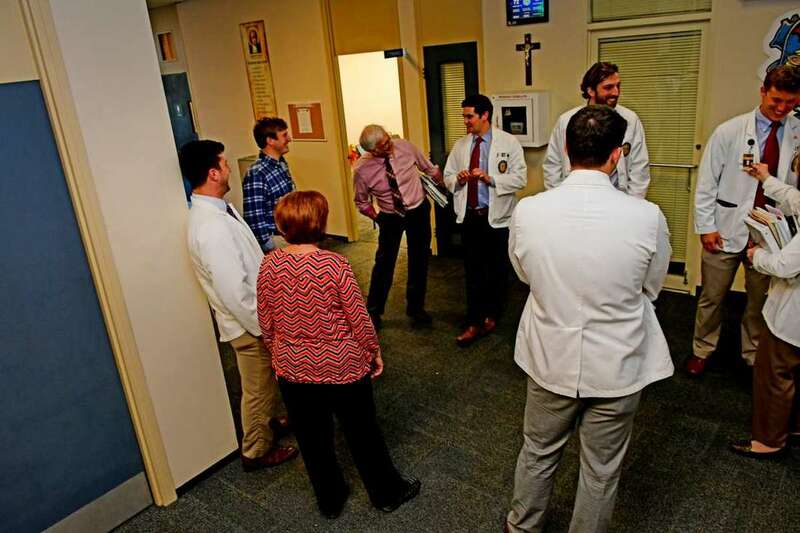 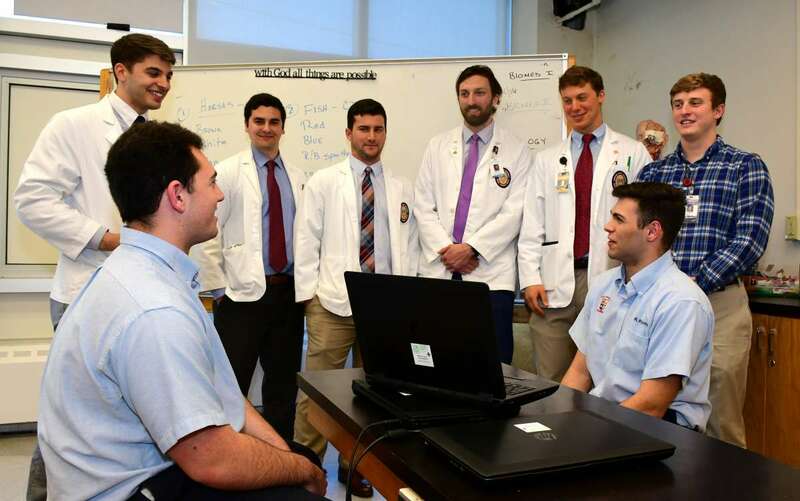 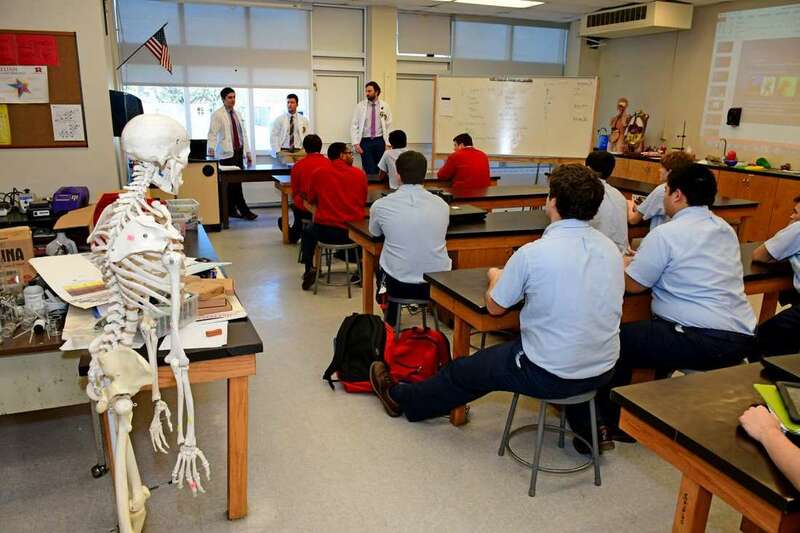 The Archbishop Rummel alumni in medical school and their high school graduation year are (standing) Evan Davis ’08, Tarek Balamane ’08, Matthew Fury ’08, Joshua Harris ’06, Eric Stockwell ’09, and Andrew Melcher ’12. Archbishop Rummel seniors speaking to the alumni are (left) Aaron Cox and Rees Ryckman. 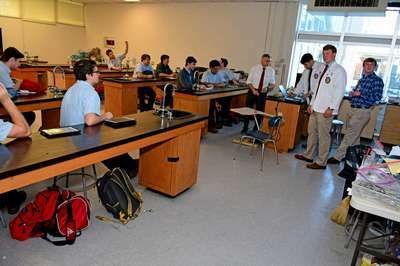 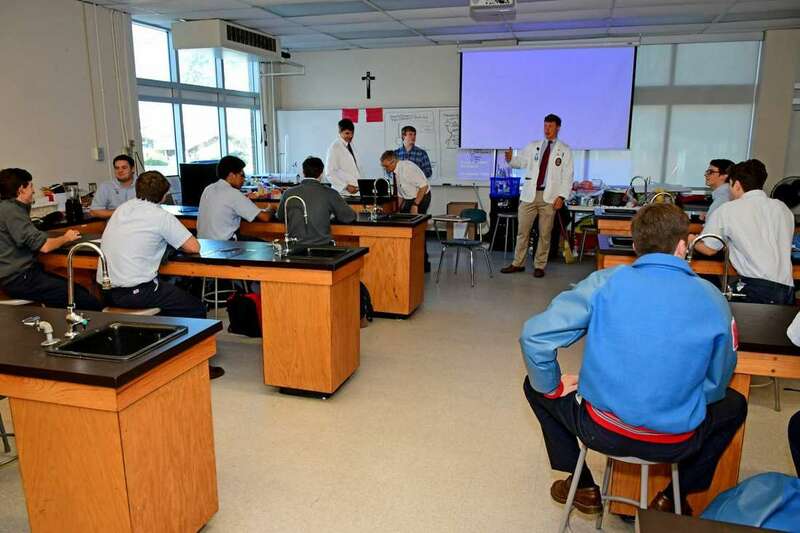 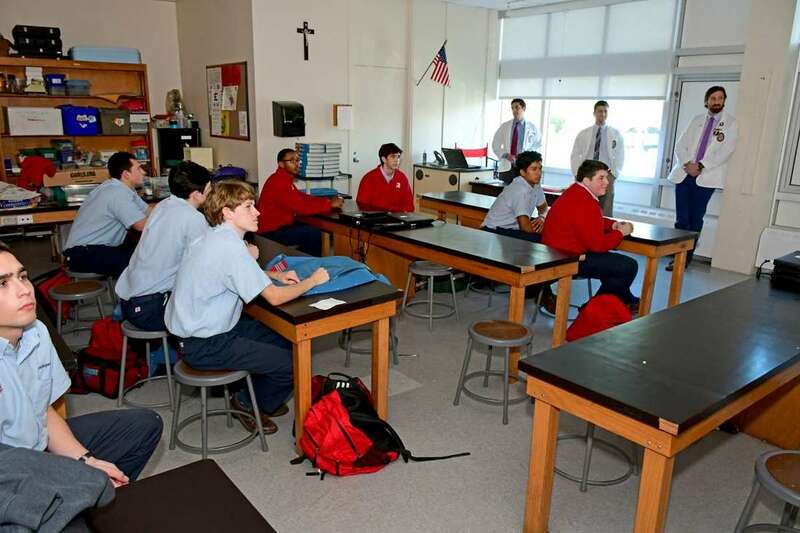 The premedical studies program is one of three studies in Archbishop Rummel’s preprofessional studies curriculum.